The History Education Council of Hawaii has received word of a professional development workshop scheduled for this summer sponsored by the National Endowment for the Humanities. The NEH pays the teacher to attend. This year there is a $1200 stipend attached to attendance. A Rising People: Benjamin Franklin and the Americans is accompanied by a web site created at Penn State Harrisburg as part of its ongoing program focusing on the life Benjamin Franklin, a patriot, writer, inventor, community leader, scholar, revolutionary, diplomat, and lawmaker. "His words gave meaning to the lives of colonists who were becoming Americans. His inventions reflected the ideas and needs of his fellow citizens. His actions ensured the development of colonial society, the creation of the American republic, and its security under the Constitution." The web site includes all information for K-12 teachers interested in attending one of the 2010 National Endowment for the Humanities teachers' workshops, to be held in Philadelphia June 27-July 2, or July 5-10. Apply for the workshop by clicking here. Slavery and Freedom in the North, is an online-based learning tool modeled after the exhibition, Intimate Strangers: Slavery and Freedom in Fairfield County, 1700-1850 which was on view at The Historical Society of the Town of Greenwich October 15, 2004, to April 17, 2005. The exhibition was curated by Peter Hinks, Ph.D. and Stacey Danielson. Intimate Strangers: Slavery and Freedom in Fairfield County, 1700-1850, was made possible by a grant from the Connecticut Humanities Council and a generous gift from Jean and David Wallace. Slavery and Freedom in the North is made possible through a grant from the Institute of Museum and Library Services.Slavery and Freedom in the North is designed to be a permanent exhibition for visitors of all ages as well as an educational tool for teachers and students in elementary, middle and high school. Curricula have been designed in collaboration with a Teacher Advisory Committee for a variety of education levels. The voyage of the Isabella from Mazatlan took 17 days. Upon its arrival in Honolulu Captain Briggs furnished the editors of The Polynesian, a Honolulu-based newspaper, with copies of American newspapers. The May 6 1848 edition presented news to its readers, including the death of America’s most venerated statesmen and the final direct link to the American Revolution. “The venerable John Quincy Adams is no more,” quoting the Daily American Star. President James Polk’s announcement was quoted in full, followed by remarks delivered to Congress by House Speaker Winthrop. Adams was a prolific writer almost to his death on the floor of the House of Representatives. 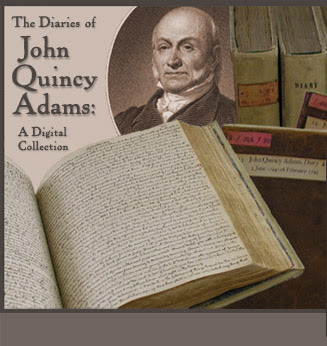 Thanks to a matching grant from the Save America's Treasures program to the Massachusetts Historical Society, anyone with online capabilities can view images of the 51 volumes of John Quincy Adams's diary in the Adams Family Papers at the Massachusetts Historical Society. Adams began keeping his diary, more than 14,000 pages, in 1779 at the age of twelve and continued until shortly before his death in 1848. For one of the best biographies about the sixth President of the United States -and the only one to return to the House of Representatives- we highly recommend Mr. Adams’'s Last Crusade: John Quincy Adams’'s Extraordinary Post-Presidential Life in Congress by Joseph Wheelan. 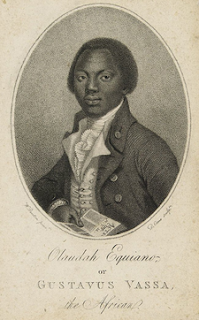 Olaudah Equiano was born circa 1745 in Nigeria and died March 31, 1797 in London. Known also by the name Gustavus Vassa he prominently involved in the movement to abolish the slave trade in Great Britain. His life was a fascinating one in which her purchased his own freedom, working as a merchant and seaman in various places including America, the Caribbean and elsewhere. His autobiography, The Interesting Narrative of the Life of Olaudah Equiano, or Gustavus Vassa, the African, was a bestseller after it was published in 1789. This narrative illustrated the horrors of slavery. British lawmakers eventually passed the Slave Trade Act of 1807, abolishing the slave trade. In 1995, the History Department and Hanover students initiated the Hanover Historical Texts Project. The Project's principal aim is to make primary texts readily available to students and faculty for use in history and humanities courses. The texts scanned for the project are all in public domain. The electronic forms of the texts created by the HHTP are under copyright. Permission to copy and use the texts is granted for educational purposes. We ask that you acknowledge the Hanover Historical Texts Project. Permission is not granted for commercial uses. Bibliographical information and acknowledgements for scanning, conversion into html, and proofreading are found at the beginning of each text. Page numbers appear in parentheses at the point of the page breaks in the original texts. by Paul K. McCutcheon and Herbert A. Trenchard. In the early days of philately, rumors circulated about a cache of very rare and valuable Hawaiian missionary stamps secreted away in New England. Were the Grinnell stamps this legendary hoard and therefore, one the greatest philatelic finds of the 20th century? Or were they expensive fakes? According to George H. Grinnell, Charles B. Shattuck gave him a cache of 71 Hawaiian missionary stamps in 1918. 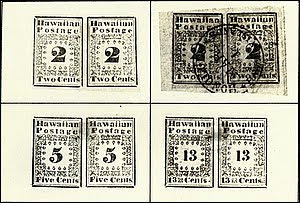 Shattuck had inherited the stamps from his mother Hannah. Hannah corresponded with a Hawaiian missionary, Ursula Newell Emerson, for several years and amassed a sizeable collection of the stamps. Once again at MW2010 we'll be recognising the best work by museums on the web. Help us to find it! Suggest a site for consideration by the MW2010 Best of the Web Panel. Nominations close Feb. 21 -- that's this Sunday. We're delighted that Brad Feld has agreed to give the MW2010 opening plenary address. It's not often that we get a chance to hear from someone who is both a tech-focussed venture capitalist and a friend to an art museum. We're looking forward to insights that cross traditional boundaries. Many of the workshops at MW2010 have limited enrollment to ensure that they are great learning experiences. If you've been thinking about adding a workshop to your registration, do so soon to avoid disappointment. If you've already registered, choose the 'Adding Workshop' option. As we get closer to Museums and the Web activity heats up on the network. You are encouraged to set up a profile in the MW online community whether or not you're coming to MW. We received a reminder note from the National Council for History Education regarding the upcoming NCHE Conference at the Town and Country Resort in San Diego, California. Pre-registration rates are due to increase after March 1, 2010. Registration includes admission to all conference sessions, the opening reception, the NCHE Exhibit Hall, and so on. Go to this link for registration forms and online registration. Today's Honolulu Advertiser reports that the first phase of the new USS Arizona Memorial Visitor Center opens today. The monument has been renamed the World War II Valor in the Pacific National Monument. Click here for the link to the official online site maintained by the National Park Service (NPS). Click this link for visitor information. For teachers searching for visitor information go to this link. Thousands of visitors are expected to visit the new facility that replaces old buildings that have sunk as much as three feet around Pearl Harbor. 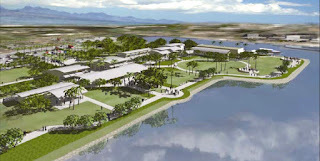 The second phase of this project is expected to be completed by December 7, 2010. Click here for the article and a video in today's paper. Today's edition also features a photo gallery. 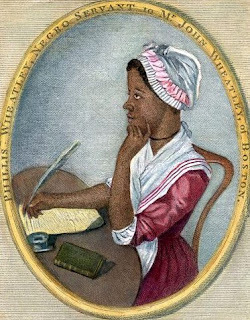 Phillis Wheatley was an African American woman who in the eighteenth century was also one of this nation’s first poets. Her story is featured on this site sponsored by the Public Broadcasting System. We also recommend this Women in History online source. We also call your attention to this online source where transcripts of her poems are featured. 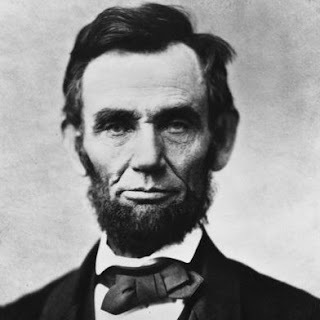 As today is President's Day we'd like to direct history teachers, students and historians to Abraham Lincoln Online. This site provides a variety of useful resources including news of lectures, events, books, interviews, speeches, classroom resources and much more. “I cannot live without books,” said Thomas Jefferson on June 10, 1815. Books were vital to Thomas Jefferson’s education and well being. His books provided Jefferson with a broader knowledge of the contemporary and ancient worlds than many of his contemporaries had obtained through personal experience. We call your attention to an online exhibit focusing on Jefferson's library, courtesy of the Library of Congress. Click here for the exhibit and at this link. Divided into categories of Memory, Reason, and Imagination—which Jefferson translated to “History,” “Philosophy,” and “Fine Arts”—and further divided into forty-four “chapters,” the collection placed within Jefferson’s fingertips the span of his multifaceted interests. The books from Jefferson’s library are part of the Rare Book and Special Collections Division of the Library of Congress. Jefferson’s library, which developed through several stages, was always critically important to him. When his family home, Shadwell, burned in 1770, Jefferson deeply lamented the loss of his books. In the midst of the American Revolution and while he was United States minister to France in the 1780s, Jefferson acquired thousands of books for his library at Monticello. By 1814, when the British burned the Capitol and with it the Congressional Library, Thomas Jefferson had acquired the largest personal collection of books in the United States. Short of funds and wanting to see the library re-established, Jefferson offered to sell his personal library to Congress as a replacement for the collection destroyed by the British. After some controversy, Congress purchased his library for $23,950 in 1815. Although a second fire on Christmas Eve of 1851 destroyed nearly two thirds of the 6,487 volumes Congress had purchased from Jefferson, the Jefferson books remain the core from which the present collections of the Library of Congress―the world’s largest library―developed. In this reconstruction of Jefferson’s library, the books have been arranged in an order that Jefferson described as “sometimes analytical, sometimes chronological, and sometimes a combination of both.” Jefferson followed a modified version of the organization of knowledge created by British philosopher Francis Bacon (1561–1626). The books were divided into categories of “Memory,” “Reason,” and “Imagination”—which Jefferson interpreted as “History,” “Philosophy,” and “Fine Arts”—and further divided into forty-four “chapters.” Included in this re-creation are 2,000 volumes from the original Jefferson Collection—survivors of fire and time. An additional 3,000 or so volumes—editions that match those lost in the fire at the Capitol in 1851—come from other collections in the Library of Congress. Other missing works have been acquired through gifts. Several hundred volumes have been purchased since 2000. These acquisitions were made possible by the generosity of Jerry and Gene Jones. Full cataloging information for the books in Thomas Jefferson’s library can be found online in the Catalogue of the Library of Thomas Jefferson. Compiled with annotations by E. Millicent Sowerby. Washington, D.C.: Library of Congress, 1952–1959. The Catalogue is listed under “Selected Special Collections on the Rare Book and Special Collections Reading Room homepage. Happy President's Day from the History Education Council of Hawaii. For more than two centuries, the White House has been the home of American presidents. A powerful symbol of the nation, it is a uniquely private and public space. Since John and Abigail Adams first moved into the “President’s House” in November 1800, hundreds of individuals have worked behind the scenes to help the White House fulfill its roles as a seat of government, a family residence, a ceremonial center, a museum, and an historic building. The White House Historical Association features a number of online exhibits suitable for classroom use by teachers, and by history buffs as well. Click the Classroom link for a variety of resources on school programs, tours, lesson plans and more. Click the link for Media Archives for online tours, presentations and exhibits. Nominations for the 2010 Law Related Education Teacher of the Year may be made by a school administrator, coordinator, director, teacher, student, or any other interested party. 3. Include two letters of recommendation from persons familiar with the project. 4. Include relevant supportive evidence such as newspaper articles or other publications regarding your program. 5. Complete entry not to exceed ten pages including recommendations and application. Only School Teachers are eligible. 6. No American Lawyers Auxiliary Board member may submit entries or write letters of recommendation for an applicant. 7. Entries cannot be returned to the sender. 8. Application can be faxed or e-mailed. 9. No application and material will be accepted after the cut off date, and must be postmarked by that date. Each teacher selected will receive a $1,500.00 award to be presented at the Annual Meeting of the American Lawyers Auxiliary in San Francisco, California, August 6, 2010. Entries must be postmarked no later than April 15, 2010 and sent to the appropriate award chair (Kitty O’Reilley, Elementary; Janey Petteiette, Middle or Junior High; Jan Lamoreaux, High School). For more information regarding the Teacher of the Year Awards contact the appropriate representative listed below. The American Lawyers Auxiliary is a charitable, educational and nonprofit organization whose mission is to promote understanding and appreciation of the law and the American legal system. The following column appeared in the October 1858 edition of The Friend, a monthly newspaper edited and published in Honolulu by Rev. Samuel C. Damon of the American Seaman’s Friend Society. Damon's column references an oration on the character of Washington by Edward Everett. Click this link to a paper delivered by Roger Mudd delivered at the Annual George Washington Symposium in 2003. It is also available in pdf format. Click here for Everett's oration on the character of President Washington. "By the last mail, re have received a monthly sheet, (just the size of the Friend) published in Philadelphia, and “devoted to the purchase of the home and grave of Washington. 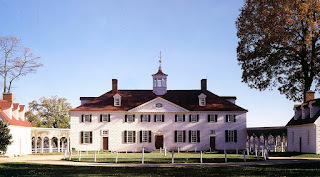 As our readers are doubtless aware, an enterprise has been started among the ladies of the United States, to raise two hundred thousand dollars for the purchase of Mount Vernon, where Washington lived and died. It is designed to fit up the establishment as nearly as possible in the style in which it was left by the Father of his country. The Hon. E. Everett, it is well known, has become deeply engaged in the enterprise. In behalf of the Fun, he has raised $40,000 by the sale of tickets to hear his Oration upon Washington’s character. He has delivered his oration seventy times, and promises to repeat it seven hundred and seventy times more if the people will pay their money for the purchase of Washington Domain. We could wish Mr. Everett would visit California, and just make a trip to the Sandwich Islands, and we are confident the people of Honolulu would give a $1000 to hear him deliver his oration! Report says the ladies of Honolulu are collecting subscriptions to add their quota to the General Fund. We have not heard how they succeed; but we say, success ladies, to your enterprise. No doubt success will crown your efforts. The name Washington is very popular in Honolulu, for we have our ‘Washington Place,’ and portraits of him who was “first in war, first in peace,” &c., hang in almost every dwelling." It is calculated that 1,200 Indians were enslaved before the end of the 1600s as well as an estimated 200 to 400 Africans, depending on the source. The pre-Revolutionary War census of Massachusetts in 1765 listed the number of black slaves as 5,779. These figures apparently do not include the Africans and Indians transshipped as cargo to the West Indies, the commerce that continued after the post-war emancipation to satisfy the supposed "equality of all." Approximately 5,000 slaves were quietly freed after the Revolution in Massachusetts in belated recognition of the state constitution's claim: "All men are born free and equal…" which, according to Manegold, when written in 1780, had no "intention to liberate all slaves…"
One is struck by the talents Manegold, an experienced journalist and penetrating writer, displays in Ten Hills Farm. The history that evolved from this manor house and an initial 600 acre plot of land not only reflects the experiences of its several generations of owners and their neighbors over nearly 140 years, but defines the conquest and settlement of the of Massachusetts Bay Colony as a whole. The Association for the Study of African American Life and History (ASALH) is soliciting papers and panels for its upcoming 95th Annual Convention in Raleigh, North Carolina, September 29-October 3, 2010. This year’s conference theme is: “The History of Black Economic Empowerment.” Although the program committee welcomes papers and panels on any aspect of African and African American history and culture, special preference will be given to submissions directly related to this year’s theme. African Americans transferred many of their economic institutions and practices from Africa to the New World, and adaptations were made in the new economic and political environment. During the era of slavery collective economic activities in South America and the Caribbean such as the creation of African markets were pursued to supplement the often meager provisions offered by slaveholders. With emancipation beginning in the British West Indies in the 1830s, African peoples acquired small parcels of land that were used for economic advancement. The conference plans to explore the economic practices and institutions developed by African Americans making the transition from slavery to freedom. In the post-emancipation years, African Americans developed a wide variety of capitalistic and cooperative economic activities. In addition to the huge increase in property ownership between the 1860s and early 1900s, African American entrepreneurs and businesses emerged and many prospered providing goods and services to the separate African American market. Papers providing scholarly analyses of the emergence of black businesses and entrepreneurs will be given particular attention. Institutions formed to assist and improve the economic conditions for black workers in various parts of the country will also be examined. This year marks the centennial of the National Urban League and we plan to explore its role in advancing the economic circumstances for black workers and migrants to urban areas in the United States. Given the recent changes in the global economy, papers offering comparative and/or interdisciplinary analyses of the impact of the larger political economy on African American economic life in the past and currently are particularly welcome. Title of paper or panel, author(s) and affiliation(s), an abstract of paper or panel of 200-250 words, and all contact information. Proposals should be submitted to this link. Academic Program Chair, Carlton E. Wilson, at cwilson@nccu.edu. 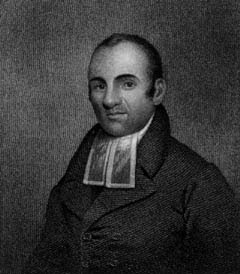 Lemuel Haynes was probably the first African American ordained by a mainstream Protestant Church in the United States. Haynes, the abandoned child of an African father and "a white woman of respectable ancestry," was born in 1753 at West Hartford, Connecticut. Five months later, he was bound to service until the age of 21 to David Rose of Middle Granville, Massachusetts. With only a rudimentary formal education, Haynes developed a passion for books, especially the Bible and books on theology. As an adolescent, he frequently conducted services at the town parish, sometimes reading sermons of his own. To learn more about this remarkable African American minister please click this link to PBS.org. Also, see this link from Cengage Learning about Rev. Hayes' life and legacy. Click this link for a book review of Black Puritan, Black Republican: The Life and Thought of Lemuel Haynes, 1753–1833. By John Saillant. Religion in America Series. (New York: Oxford University Press, 2003. Pp. xii, 232. $39.95.) Reviewed by James Sidbury , University of Texas at Austin. As a follow-up to Monday’s news-blog posting on the Naval History and Heritage Command the History Education Council of Hawaii calls attention to a photographic exhibit entitled African Americans and the U.S. Navy -1870s and 1880s. Please click this link to additional materials about African Americans and the U.S. Navy. These photographic images are available for history buffs, teachers and students alike for classroom use. Today's Honolulu Advertiser reported the discovery and identification of a sunken World War II submarine, the USS Flier, in the Philippines' Balabac Strait. Click here for the article. The article notes the role of the Naval History and Heritage Command, the official history program of the Department of the Navy. Its lineage dates back to 1800 with the founding of the Navy Department Library by President John Adams. The Command now includes a museum, art gallery, research library, archives, underwater archaeology and curator as well as research and writing programs. The Command's origins form a rich history in themselves. Its web site features a variety of educational and historical research resources available to educators, students, historians and history buffs. For example, click here for the U.S. Navy Museum's Teacher Resource Page.